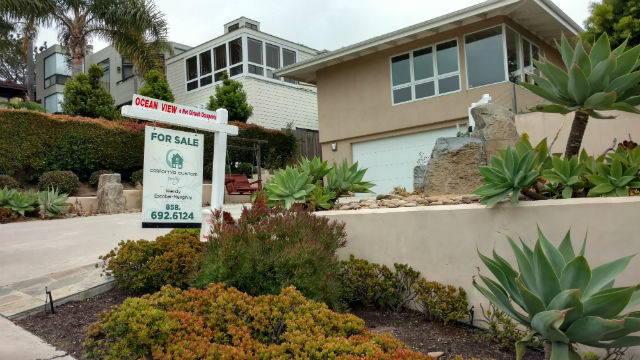 San Diego home prices rose 1 percent in May, according to the widely-followed Case-Shiller Index, but a national expert downplayed talk of a bubble. The latest index released Tuesday morning showed San Diego prices up 6.6 percent over the past year as housing prices nationally continued to surge. Nationwide prices rose 1 percent in May, and were up 5.6 percent over the past year. A number of Western cities are seeing much bigger price increases than San Diego. Seattle led the nation with a 13.3 percent increase over the past year, followed by Portland at 8.9 percent and Denver at 7.9 percent. Zillow Chief Economist Dr. Svenja Gudell echoed Blitzer’s concerns about the slow pace of home building. “At this point in the recovery, the main story in housing is less about rising home prices and more about the falling, woefully insufficient inventory of homes for sale,” Gudell said.